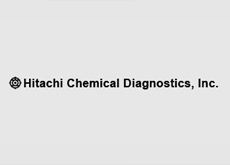 Hitachi Chemical Diagnostics, Inc. | Network Directory : Hitachi in the U.S.A.
A pioneer in the manufacture of allergy diagnostic systems and in-vitro allergy diagnostic systems, Hitachi Chemical Diagnostics, Inc. contributes to the medical community through its Allos Reference Laboratory. With high accuracy and low costs, Hitachi’s equipment is preferred by healthcare centers around the world. Designed with the end-user in mind, our instruments are safe and easy to use.